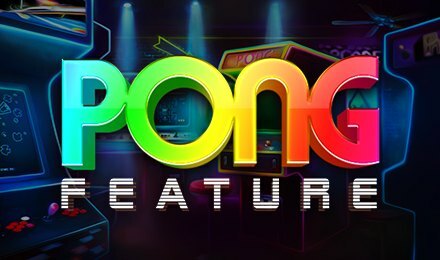 Powered by Pariplay, Pong slots is a 5 reels and 20 paylines slot game which has been developed with several features against a classic but modern theme. Immerse yourself in this slot game that consists of a number of features right from the comfort of your home on your mobile, desktop or tablet! Enjoy many classic symbols such as; plums, cherries, oranges, lemons and bells. As per the paytable, you will be awarded winnings from winning combinations listed. Wins are awarded for winning combinations of three or more similar symbols on an active payline. While you’re getting used to the different controls on the game, set your bets as per your preference. Coin Values: Choose your stakes from £0.20 to the highest value of £20.00. 1. Referee Wilds: Win another wild referee feature or else the middle reel rolls on its own. 2. Vertical Expansion Wilds: Wild symbols are customised with up or down buttons and will expand vertically on the reels. 3. Horizontal Expansion Wilds: Wild symbols are customised with right or left arrows which expand horizontally on the reels. 4. Multiplier Wilds: When When a wild appears on the reels, you can win from 3x to 5x your total bet. 5. Revolving Arrow Wild: When these wild lands on your reels, the next spin is free. 6. Wild Blocks: Wilds which look like a rubix cube will start a pong game. The ball will bounce on the screen and this can add up to 6 wilds on your screen.